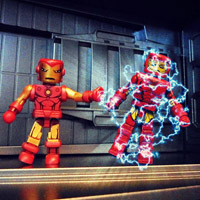 We have a guest post by Gavin Hanson on toy lines that are compatible with Minimates (with photos by Luke). Take it away, Gavin! Minimates are many things. They are diverse and, despite their small size, they have quite a lot of articulation. 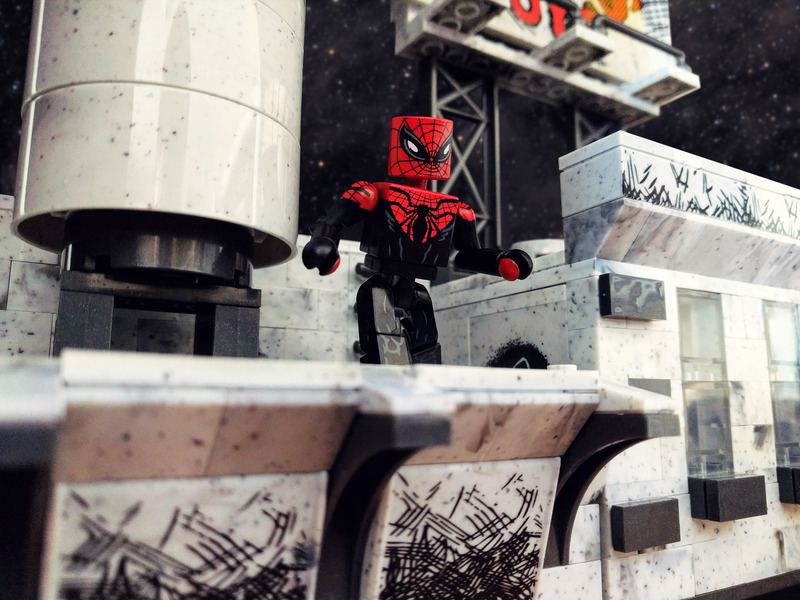 One of the only things that Minimates fail to provide to the line is a place or scene to display them in. 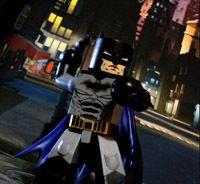 While it’s true that there was a DC Minimates building set line, unfortunately it ended prematurely. Luckily for us, other companies have stepped up to the plate to help with that! 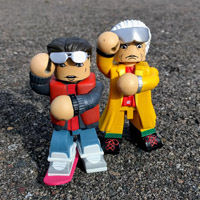 Building block companies such as Lego, Mega Bloks, and McFarlane Toys have been making more and more toys and sets that scale nearly perfectly with Minimates. Click the Read More button to read all about these compatible lines! Today it was announced that Disney is purchasing most of 20th Century Fox. This acquisition includes a huge amount of properties, licenses, content producers, and television networks. 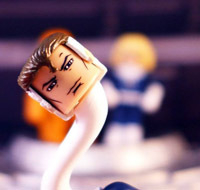 There are a ton of articles online about the implications of this massive purchase, but in this article, I am only going to focus on what it could mean for Minimates. Click the Read More button below to view the article. The Vinimates line started in 2015, and has been growing rapidly. It is basically Diamond’s answer to the Funko Pop craze. I know there are a lot of collectors out there who have not given Vinimates a chance yet. I would like to offer you these 5 reasons why they are worth your time and money. The first thing that drew my attention to Minimates over 13 years ago was the style. The balance between the head and body and limbs is very appealing. Vinimates keep those same proportions, along with the Minimate face style. It’s hard to explain, but when I have a Vinimate in my hands, it has the same charm as a Minimate. Even though the only articulation is in the neck joint, I am drawn to the style and the feel. Vinimates are easier to spot from across the room, and my small (but growing) collection makes me happy to see. If you have collected Minimates for any period of time, you have probably found a figure with a bad paint job. So far (knock on wood), every Vinimate I have seen has a perfect paint job. Not only is it well done, but the level of detail is higher than other vinyl figures. I have consistently been impressed with the vibrance and quality of the paint apps across this entire line. They really pop! 3. They have the DC license! 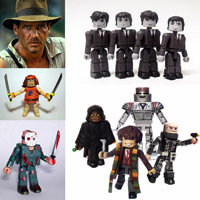 Minimate collectors have been hoping for a return to DC Minimates for years. Even though we have Gotham and Watchmen, it still isn’t the main DC line that we all want. Well, Vinimates has that line! They are basically giant Minimates of the big name DC characters. And although the articulation isn’t there, the look and feel is. As of this writing I just opened my Batman and Green Lantern Vinimates, and I absolutely love them. The most recent word from Diamond is that DC Minimates are not going to happen, so these are the next best thing. 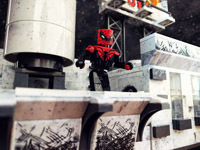 Some Vinimates can be used as in-scale giant-sized Minimates. The ones that immediately come to mind are the Stay Puft Marshmallow Man, Dr. Manhatten, and the Iron Giant. They might not be large enough to truly be in-scale with Minimates, but they are a lot larger than the Minimate versions! 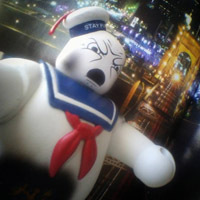 On my shelf, I have the Battle Damaged Stay Puft Man towering over my Ghostbusters Minimates, and it looks amazing. Soon I am going to do the same thing with Dr. Manhatten and my Watchmen Minimates. 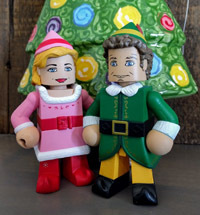 If you are on the fence about Vinimates, maybe one of these nearly-in-scale characters would be a good place to start? Vinimates are a relatively new toy line, and there have only been a few exclusives so far. This means that if you are the kind of collector who likes to complete a full line of toys, you won’t have to spend a fortune on rare figures - everything released so far is pretty easy to obtain. And at $10 per figure, they are comparable to other vinyl figures. I think they are much more unique looking than Funko Pops, and the paint apps are better. So for me, the $10 is much better spent on these. If you have not tried a Vinimate out of the package yet, I highly recommend it! You can find all of our Vinimates in our Vinimates section. 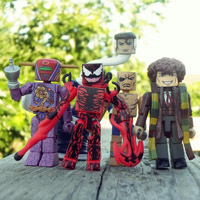 There are a ton of people on Instagram posting amazing Minimate pictures every single day. 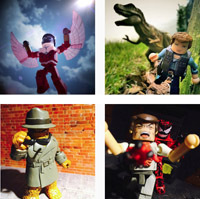 Today I want to focus on 5 photographers that consistently post great stuff.Â If you haven't used Instagram before, simply download the app on your mobile device, install it, and search for the #minimates hashtag. You will see photos from the 5 people in this post, along with many others.Â Click theÂ Read MoreÂ link below to see the photos and read about the photographers. Iron Man has a lot of Minimates. 62 at last count, including three still to come out later this year. That puts him ahead of even Spider-Man. If it seems like every new series or box set has an Iron Man in it, that's because they usually do. The character's current popularity notwithstanding, his frequent redesigns make him a toy line planner's dream. No need to invent specious reasoning or comb back issues for a new Batman or Spider-Man; Iron Man's loaded with legitimate looks, often within the same comic or movie. But what's the best Iron Man? What's the one that you should absolutely have in your collection? And conversely, which ones should you stay away from? Click the Read More link below to find out! I was called out by @scotts_comicfigphotography on Instagram to share my top 5 favorite Minimates in my collection. This set could include customs, which definitely changed my line-up. Nostalgia is a big part of my choices. I went for the Minimates that were special to me personally, as opposed to which ones simply look the coolest. That would probably be a different set of 5. Check out my choices by clicking the Read More link below.